The new head football coach of the Miami Hurricanes, Manny Diaz, has always harbored a special passion for sports, even as a child growing up in Miami. His connections to the U run deep: his father, former Miami Mayor Manny Diaz, Sr., is an alumnus, having received his law degree from UM in 1980. Discover more about the coach's strong ties to the University and the community. The Women Leaders of the Americas forum, hosted by the Institute for Advanced Study of the Americas, features the UM alumna, singer, songwriter and businesswoman. After her unexpected death last year, the family of Cornelia Lowerre, M.S. ’14, created a scholarship in her honor, to be awarded annually to a graduate student at the Rosenstiel School. 'Cane pride leads to Charlotte 'Canes Community and an endowed scholarship for the Miami Business School. 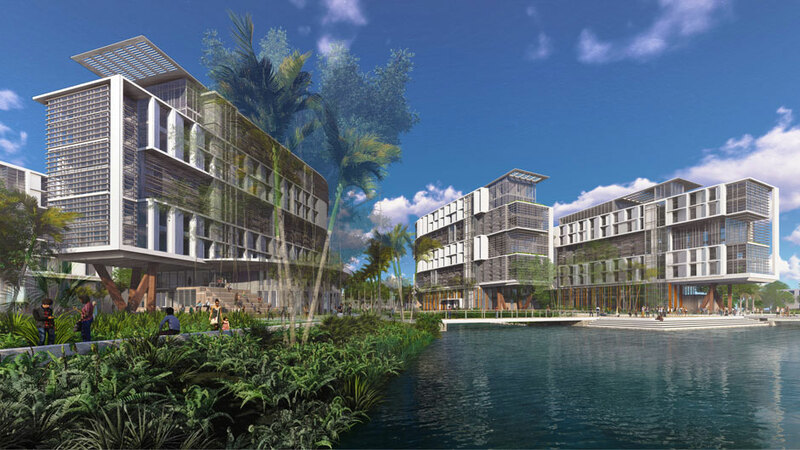 In the second phase of new on-campus housing at the University of Miami, new renderings have been unveiled. The UM Alumni Association and Hurricane Athletics invite you to the 5th Annual Celebration of Women’s Athletics brunch. The second annual "Last to Leave, First to Arrive" charity art show will bring the University community together for a great cause. This year’s event will take place November 7–9, 2019. Find more details about reunions here. Alumnus advises athletes while staying involved in his community. Alumnus turns childhood passion into successful career. We spotted the UThrift crew while visiting Well 'Canes Marketplace. Be sure to check them out to exchange your lightly used items if you're visiting campus. The UM community will have the opportunity to come together to volunteer and make a meaningful impact. Order your official University of Miami jacket today and show off your 'Cane pride.